Do you want to learn freeflying? Get coached by ISR Dynamic Dutchies! Rick and Joey, also known as the ISR Dynamic Dutchies, have been the FreeFly duo of Indoor Skydive Roosendaal since 2014. 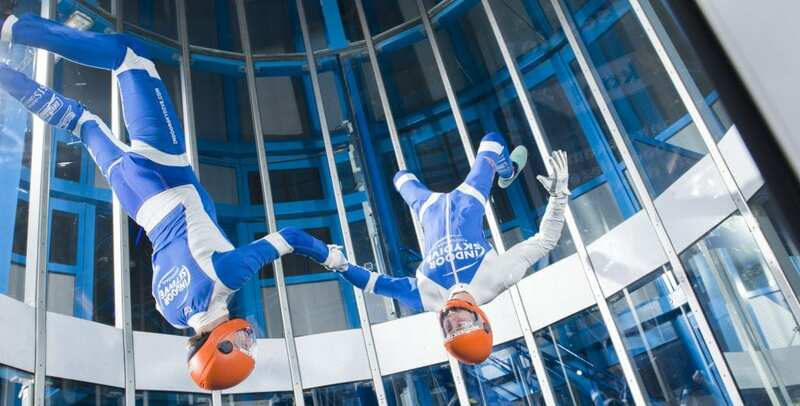 Since 2010, Rick and Joey worked as instructor at Indoor Skydive Roosendaal and in 2015 they started participating in international freefly competitions. Through the many hours of freefly training in the field and the experience they gained as instructors, these inspired boys are able to offer coaching at every level. From coaching to beginner belly flyers to experienced free flyers: ISR Dynamic Dutchies provide coaching that suits you! Do you prefer to practise in a group? Then join the monthly Tunnelcamps. The Tunnelcamps are accessible to all, very educational and there is plenty of time for sociability. Check the video and get inspired! For more information on the Monthly Tunnel Camps, follow ISR Dynamic Dutchies on Facebook. For information on personal guidance and rates, please contact us by email.